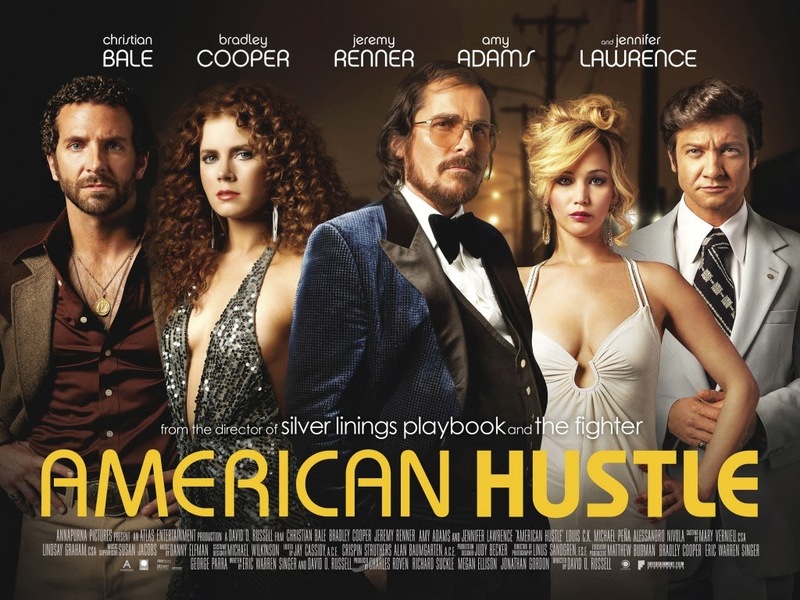 David O. Russell put together a great cast and together they created very interesting characters navigating relationships and quite a bit more. In fact, so much more it's all a bit too much to try to explain. That's one of the sticking points for some with this film. It gets a little convoluted, but the characters, and the performances are the real show. Christian Bale is fantastic. His dedication and willingness to do anything for a role is both admirable and something to behold. Put on weight, lose weight, bulk up, he's done it all. 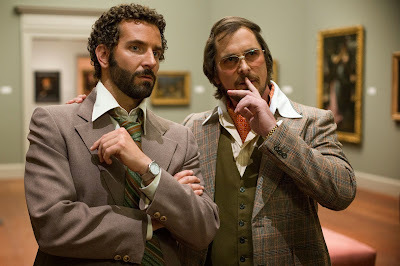 For American Hustle, he put on 40 pounds and gave himself a comb-over. This makes the third time (off the top of my head) in which he played a character who's life was essentially an act. It's hard to tell who these characters really were because they were giving a performance their whole life. In The Dark Knight trilogy he played Bruce Wayne who was also Batman. In the Prestige he played Alfred Borden, a magician who's whole act hinged on the fact that he was able to pull the wool over everyone's eyes by continuing his performance in his personal life as well. In American Hustle Bale plays a conman who's business requires a similar commitment to living his performance. His life is his performance and it allows him to fool his mark. Bale isn't the only one who is very good in this film. He stars alongside Amy Adams, Bradly Cooper, and Jennifer Lawrence (along with a bunch of other recognizable faces). Russell allowed some scenes to be mostly improvised, and you can tell, but they are some of the best scenes in the film. When Christian Bale warned David O. Russell that allowing so much improvisation in these scenes that they might change the plot later on, Russell's response was that he hates plots and only cares about the characters. That is something very evident in Russell's films (I mean that in the best way possible). He is becoming known for films with strong characters and strong performances. The story, like its characters and their relationships, is messy and yet somehow it all works well enough, and it's incredibly fun to watch.